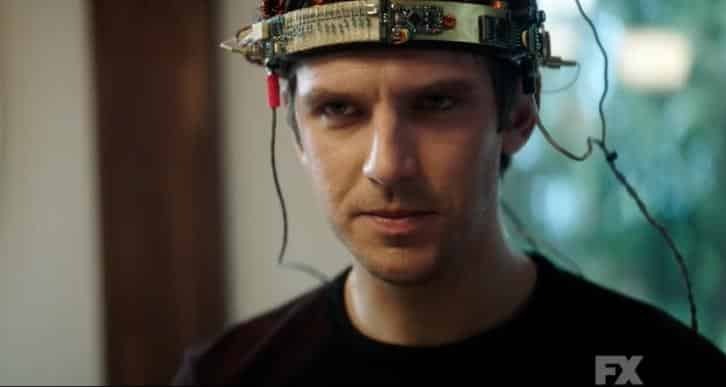 If it felt as though “Legion” was leading we gentle viewers to a big bang of a finale, that would be correct. We found our intrepid mutants at the mercy of not only a somewhat cowed Division 3 but a volatile and incensed Shadow King. 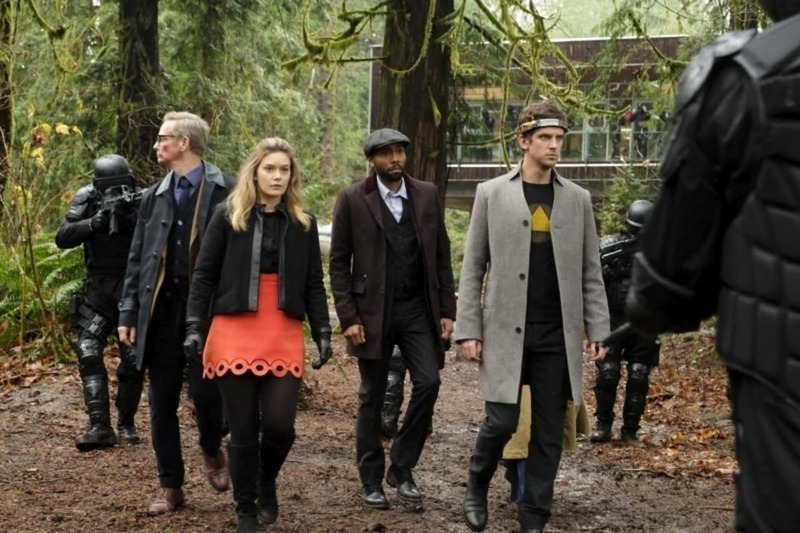 With Division 3 making their move on Melanie Bird’s compound-led by a severely burned agent Clark (well-played by Hamish Linklater), David’s powers are on full display. He’s flinging armed agents with a flick of his wrist and holding them immobile with his mind. He’s magnificent-he’s everything Melanie ever thought he could be. He’s also only tethered to this reality by a flimsy piece of headgear Cary invented. With Clark and Division 3 held off, the mental headband David is wearing begins to lose its potency. Strapping him down in the lab, the Shadow King/Lenny begins to assert himself and the physical world begins to waver. In order to save David-whose body is showing the effects of Lenny’s internal assault on his mind-Sydney bursts through the force field and kisses David. Full lips, no barrier. In doing that, Lenny is able to leap from David into Syd and break the physical plane. Yellow-eyed and dominant, Lenny-led Syd takes out Cary and makes the leap into Kerry’s body. Lenny-influenced Kerry knocks out Ptonomy and invisibly shoots Melanie. While this is happening, David has regained control of his body and powers and runs into a most epic showdown with possessed Kerry. In a cataclysmic boom, seismic energy shoots out into the compound’s power grid and sprays onto an unsuspecting…Oliver. Oliver. The same Oliver who danced and sang in a temporal vortex. Who forgot his wife of two decades. Oliver. Who remembered Melanie’s name at the very moment he was hit by David and the Shadow King’s energy bubble. Guess where the Shadow King is now? Yep. Oliver. And the last “Legion” left us with as it headed into hiatus: David, being sucked into a drone and carted away from Syd and the compound. Without a doubt, season two will be a wild ride. Thank you for rocking with TGON for our coverage of “Legion’s” first season.